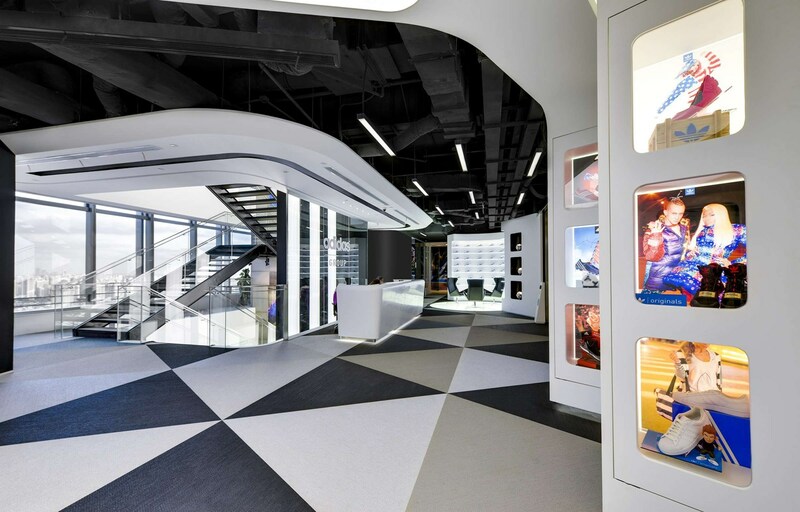 The international architectural firm PDM chose a triangular design concept as a key ingredient for its spectacular interior setting at Adidas’ new office premises in Shanghai. 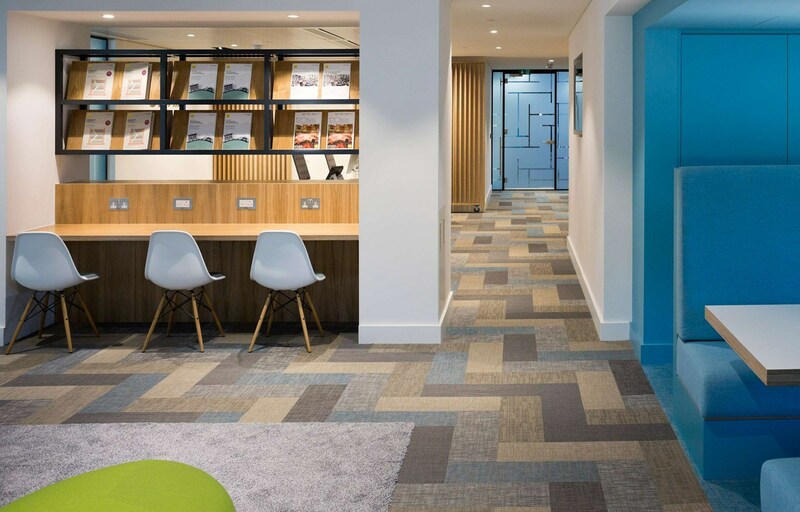 Here, flooring has been used to create cohesion between the department areas and achieve openness. 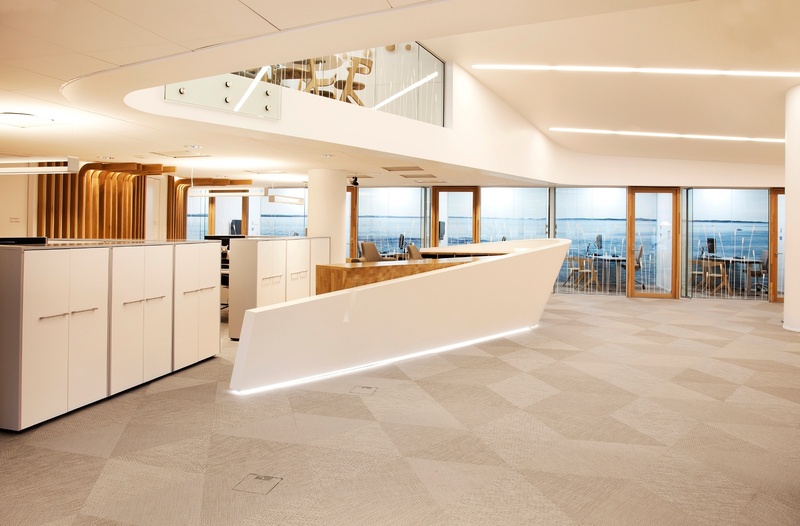 Adidas and Bolon are no strangers to one another – seven thousand square metres of floor space at the company’s Amsterdam offices are covered by Bolon’'s woven vinyl design flooring. Huge version of our Bolon Studio Triangles at Adidas HQ in Shanghai. At Adidas HQ I Shanghai, one is always surrounded by their branding and products. Here, the brand identity can be experienced through the design. 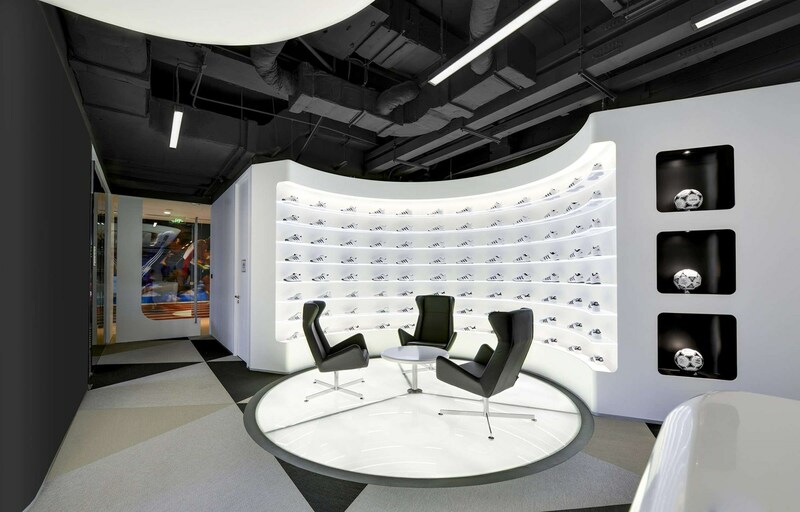 Cool design at Adidas Headquarters, Shanghai. 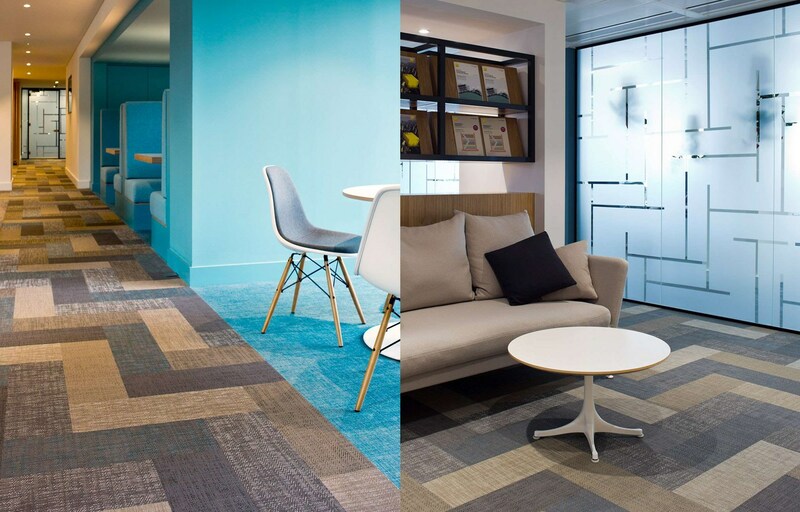 Flooring featured in above pictures: Bolon Sisal Plain Mole, BKB Sisal Plain Steel and BKB Sisal Plain Black. Check out the whole BKB collection here. 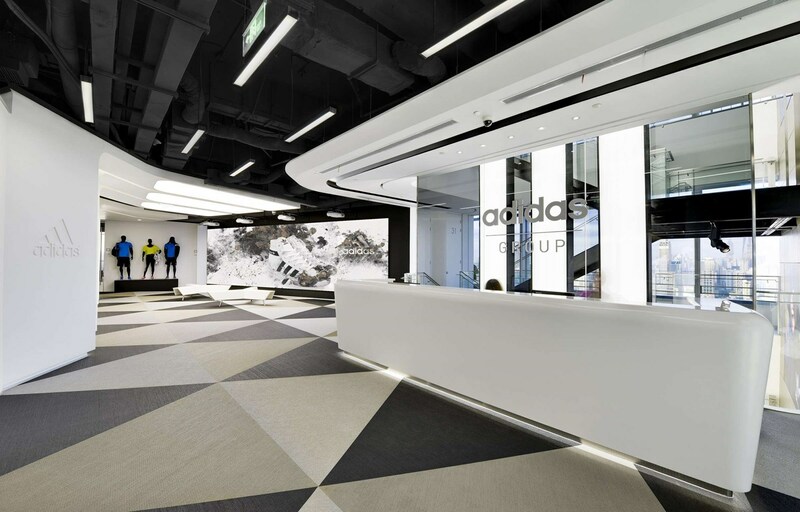 BKB Sisal plain black, is a part of the design concept in Adidas Headquarters. 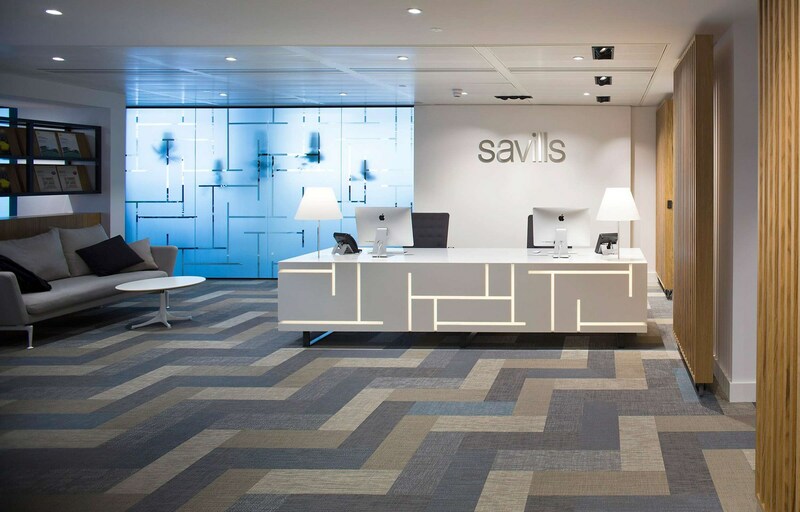 When renovating the offices of Savills in Richmond, London recently, MCM Architecture chose Bolon flooring from the Silence collection for this Savills office – installing the articles of Sense, Gracious, Illuminate, Visual and Balance. Using a combination of both portrait and landscape planks, the result was a visually dynamic yet calming interior environment. Silence planks making it visually dynamic yet calming interior environment. Quite fascinating how much a flooring can make a difference for a room. 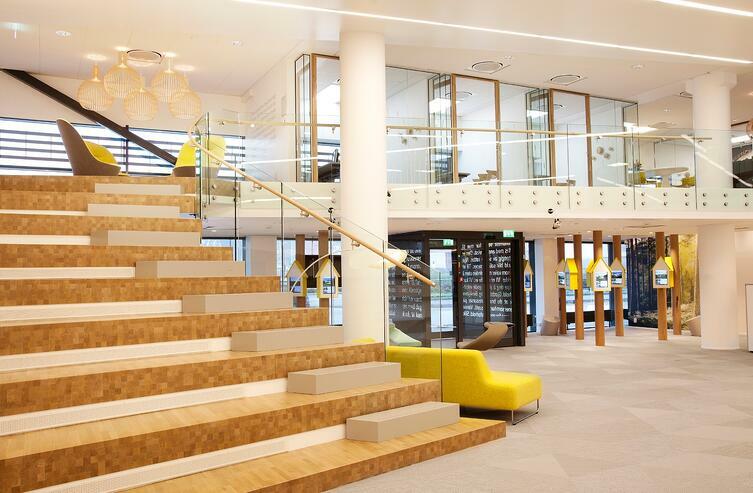 An intimate, contemporary bank office with a natural feeling was the goal. Bolon helped to fulfill their wish, says Geir Hermansson from Griff Architects. Even if Sparebank 1 is Norways second biggest bank concern they find their strength in acting on a local level. In their new office in Fredrikstad the interior concept was inspired by the surrounding nature and the archipelago. 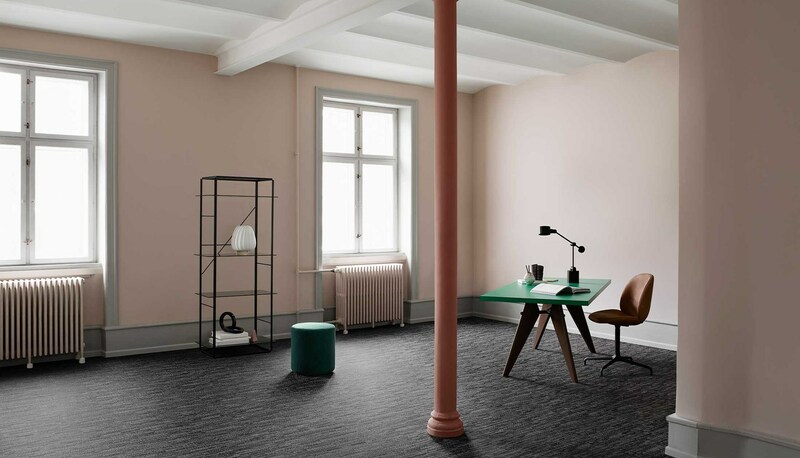 The collection Artisan from Bolon fitted the concept well due to its textile feel, good durability and acoustics, and the possibility to have a light, Scandinavian colour on the floor. 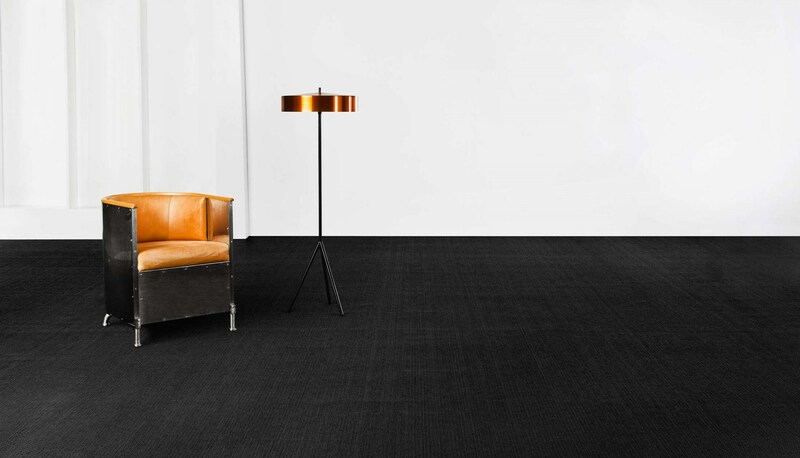 Sparebank features triangles from the Bolon Studio collection in Artisan Ecru. 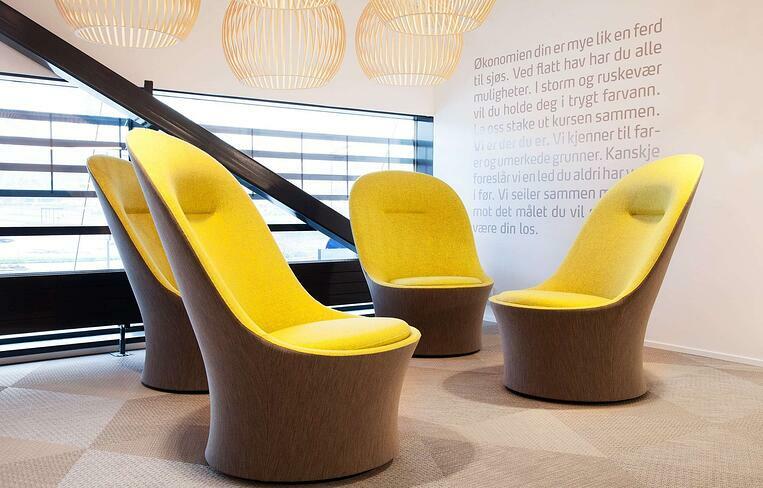 The beige tones of Artisan Ecru brings a divine vibe to Sparebank in Norway. Artisan Ecru in a yellow combination. Most popular projects of September were an office, a skybar and a law firm. Explore them and their different design flooring here.